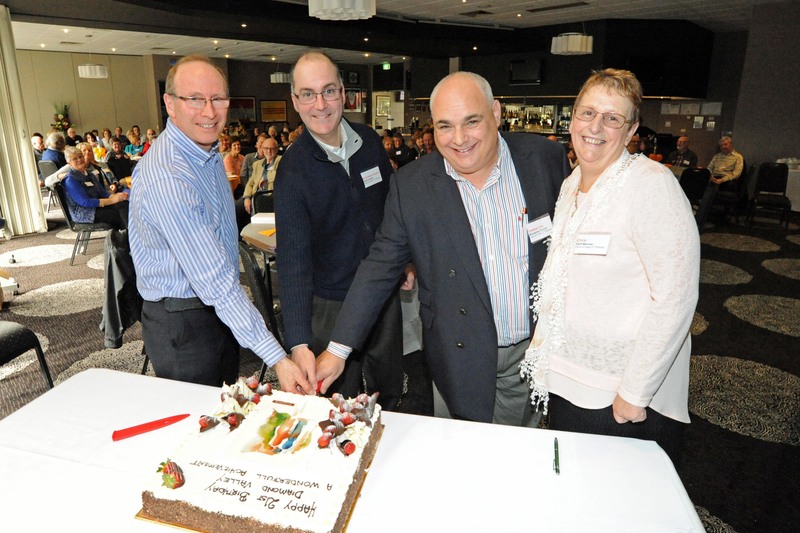 “We celebrated this occasion in style at the local Greensborough RSL Club with afternoon tea ,a birthday cake and 21 years of photographic memorabilia. Dr Jon Snider delivered a moving historical account of the clinic’s journey from one patient at inception to the 55 patients it has today. His audience was not only present patients, but past patients or families representing patients who had since passed away. Esteban Cox, Country Managing Director Diaverum Australia, attended along with the entire clinic team. Everyone shared stories and reminisced about how Diaverum had grown and the many friends they had made along their dialysis journey. One patient reflected on the words that embody Diaverum’s Diamond Valley Clinic: ´I have been here for a while and I experienced the doctors and nurses here as very flexible, friendly and professional. It is a community here, like a second family.